If you have been injured, become sick or failed to recover as you should as the result of medical procedure because of something a medical caregiver did wrong, you might be the victim of medical malpractice. Oklahoma lawmakers, under pressure from insurance companies who underwrite risks associated with medical care, have set limits on the extent to which those who suffer from medical malpractice can collect compensation. In today’s legal environment, it is more important than ever to retain trustworthy, reliable and knowledgeable Oklahoma medical malpractice attorney if you’ve been harmed in a medical setting. It is likely to happen to someone, somewhere, every day of the year — botched surgeries, operations on the wrong side of the body, damage from dental procedures, procedures performed by unqualified staff. If you believe you’ve been the victim of medical malpractice, contact a Tulsa medical malpractice attorney at Wirth Law Office to see what your case is worth and what you can do to recover damages done to you. Call Wirth Law Office today for a free, confidential consultation at (918) 879-1681 (or toll free at (888) Wirth-Law). Most people who receive medical treatment experience few if any unexpected consequences. That is because the medical profession has established, through research and practice, standards of care. Those standards protect patients while allowing medical caregivers to perform invasive, sometimes lifesaving procedures. Physicians advise patients of risks and consequences, and seek informed consent before they prescribe a medical procedure. Yet each year, doctors neglect their professional obligations, clinics cut corners and medical administrators pressure employees to bend the rules. People suffer and sometimes die as a result. 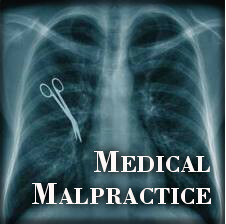 The result is often called medical malpractice. When things go wrong with a procedure, a patient can suffer severely. The reasons things go wrong often involve failure to adhere to accepted standards of care. Medical negligence is often the basis of a medical malpractice claim. Standards of care my require a physician to conduct or supervise a procedure. When an assistant works without adequate supervision, botches the procedure and you get hurt, you might have cause for a medical malpractice claim. At other times, caregivers fail to perform diagnostic tests that could reveal a life-threatening condition. When a diagnostic procedure would otherwise routinely be performed under accepted standards of care, a medical malpractice claim might allow a patient to recover some of the costs and damages associated with wrong treatments or the failure to treat the right condition. Many medical malpractice claims involve mistakes with medications. Neglecting to check for allergies, passing out the wrong pills to the wrong patient, continuing to administer a medication when it’s no longer needed or effective and failing to administer the enough of the right medication can all result in a medical malpractice claim. Some medications can involve high risks to a patient. Pain medications can lead to addiction or a fatal overdose. Doctors are obligated to watch out for and address those possibilities. Cancer treatments are especially risky to patients — often with lifesaving results. In some cases, doctors try novel treatments, prescribing medications off label based on their own theories or the advice of pharmaceutical companies hoping to expand their market. If you suffer because a doctor prescribed medication for off-label purposes, you may have a medical malpractice claim. Because that’s where people go to recover from infectious diseases, clinics, hospitals and convalescent care centers can easily harbor deadly infections. Bacteria spread in medical settings can be the worst kind — diehards that have developed resistance to antibiotics. Clinical practice requires systematic, meticulous sterilization and procedural control to stop the spread of bacteria and fungus from one patient to another. Contaminated instruments, unwashed hands, unclean utensils, dirty linens and other patients can be sources that spread disease in the places people go to get treatment for disease. Bedsores, infected incisions, blood poisoning and respiratory problems may result from failure to practice necessary sterilization and isolation in medical settings. If are exposed to infections in a setting where you went for medical care, you might be the victim of medical malpractice. Other medical malpractice claims involve caregivers practicing outside their area of expertise. Modern medicine embraces numerous integrative approaches that recognize the role of faith, cultural traditions and traditional or “natural” therapies. Some caregivers fail to recognize their ethical obligation when such approaches are integrated in medical settings, perhaps in an effort to attract patients whose hope is bolstered by peers who fancy themselves as folk-healers or something they’ve read by an unqualified author. 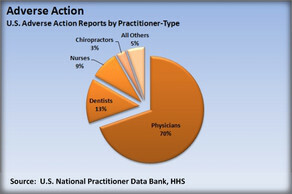 Chiropractors, “holistic” practitioners and lay people who practice medicine without a license can rob those needing legitimate medical care of money and of the opportunity to get medical care. When a doctor endorses such treatments at your expense, or a licensed alternative practitioner promises a cure without advising you of the risks the treatment won’t work or may harm you, you may be the victim of medical malpractice. When a medical procedure involves risks, caregivers are obligated to inform a patient or those watching out for the patient’s interests. You are entitled to know within reason the likelihood a risky procedure will provide possible benefits, so you can make up your own mind. If you’ve been exposed to medical risks without your informed consent, the consequences of a procedure go well beyond those about which you were informed or things go badly wrong because a caregiver didn’t follow accepted standards of care you may have a valid medical malpractice claim. For a free, confidential consultation with an Tulsa medical malpractice attorney, call the Wirth Law Office at (918) 879-1681. People often come to Tulsa to benefit from our great hospitals, clinics and care centers. Most get they care they need and the help they deserve. It is sad to say, a few leave Tulsa worse off than when they arrived because somebody neglected to follow accepted standards of care. When that happens a Tulsa Oklahoma medical malpractice attorney can take the case to court in the county where negligence occurred. 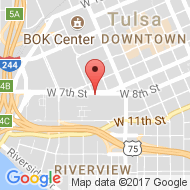 Wirth Law Office Oklahoma personal injury lawyers work in Tulsa County Courts on a regular basis, so we know the local courts. Our offices are conveniently located nearby the county courthouse, and downtown for easy access. 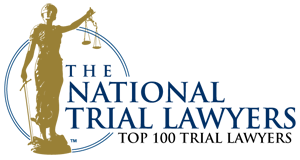 Our familiarity with Tulsa, Tulsa county courts and the Tulsa’s medical community make the Wirth Law Office an obvious choice when you need legal representation about a medical mistake at a Tulsa area medical facility. To begin your free consultation with a Tulsa Ok medical malpractice lawyer, call the Wirth Law Office at (918) 879-1681 (or toll free at (888) Wirth-Law) or submit the question form at the top right of this page.